Jonathon Arthur Conrad was born on January 19, 1919 in Arkansas to Bruce “Bubba” Conrad and Marian Moore. Jonathon was apparently their only child. Bruce worked doing odd jobs and Marian was a house wife. Jonathon graduated from high school and worked for a few years in a warehouse. He eventually married a woman, Ethyl Jones, whom he had gone to school with and whom he thought he knew well. The marriage soured quickly, however, and they divorced. 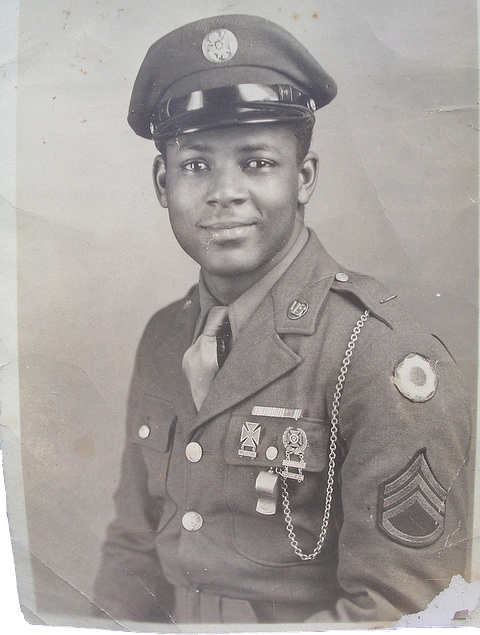 When World War II broke out, Jonathon enlisted in the army and was sent to the South Pacific for most of the war. When the war was over and he was discharged, Jonathon returned to Arkansas and thought he might try to start over with Ethyl, but he found she had already remarried. He turned his attention to work, then, and tried to find a job, but it was difficult. He found temporary things, but nothing steady. Finally, in 1957, he decided to try his luck in Chicago. He did not want to leave his mom, as he had a feeling he would never see her again, but she persuaded him to go, telling him that it was his chance for a new life. In Chicago, Jonathon was able to find a job almost instantly as a truck driver, which he worked at for a year before getting a job at the Leif Candy Company as a janitor. At some point, Jonathon met another woman, Lula Wilson, who was quite a few years his junior, and they married. Together they had two children: Jonathon Jr., or “Johnny,” and Cora. Jonathon and Lula were apparently very happy together at first, but then Lula began to resent the fact that Jonathon never wanted to go out. Jonathon was content to stay at home and was not happy if Cora went out with girlfriends. The two began fighting often and finally, when Johnny was 13 and Cora was eleven, Lula and Jonathon divorced. “He wasn’t like most men, though,” says Jonathon’s daughter, Cora. “He stayed in the picture.” Jonathon paid Lula child support and took the kids to live with him in the summers. Cora said that despite her initial anger with her parents, and him in particular, she has a lot of respect now for her father for being a responsible father. When she was a teenager, she went to stay with him permanently. According to Cora, Jonathon enjoyed pottering around the house and was always fixing something. He also loved watching westerns and riding his bike along the lake. He had a lot of friends and had a poker night at his house every Thursday for over fifteen years. After going to live with him, Cora discovered just how much her father drank and was shocked. She begged him to get help, but he refused to, so she eventually went back to live with Lula. Lula, however, was having difficulty with a form of early arthritis, which left her unable to get around easily. Cora went from caring for her father to caring for her mother, a burden that was made heavier by the fact that Lula now resented Cora for having gone to live with Jonathon for a couple of years, leaving her alone. Johnny had long ago left and moved to Peoria. Cora eventually graduated from high school and also moved out for a time, as she wanted some independence and was tired of caring for her dysfunctional parents. In 1984, she got married and moved to River Forest. In the late 1980s, Jonathon moved into Somerset House, an apartment building for seniors on the North Side. Jonathon was diagnosed with some brain damage due to his heavy drinking and smoking and found it increasingly difficult to live alone. When he moved to Somerset House, he quit drinking and smoking both. He was doing well, apparently, and beginning to feel healthy until Cora came to tell him some terrible news. She dreaded telling him that his son, Johnny, was dead, apparently having dropped dead of a heart attack. Jonathon was utterly stunned by this news, and though it had been almost a year since he and Cora had seen each other, they both broke down and cried together for a long time. After Johnny’s funeral, Jonathon spiraled into grief and went back to smoking and drinking, which possibly led to his eventual stroke. He was taken to the hospital for several weeks before being transferred to a nursing home. Jonathon is currently unresponsive and is in a semi-conscious state. Cora insists that he knows her when she comes to visit, which is daily. She says that he is responding by opening and closing his eyes in answer to various questions or by crying, though the staff have not been able to corroborate this. Cora is having a very hard time accepting her dad’s condition. Lula is still alive but not physically able to visit Jonathon due to her own health issues, but has told Cora that she isn’t really interested, anyway. It has unfortunately fallen on Cora, then, to still be his only support system. At times, she brings her grandson with her, which seems to help her to cope with the situation.